Today’s hearing aids bear little resemblance to the bulky and unsightly hearing aids of the past. Miniaturisation has made them virtually invisible and the latest technology has drastically improved hearing performance while making available a host of impressive features that seamlessly integrate with your lifestyle. 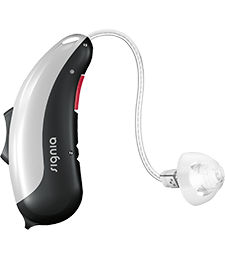 Imagine a hearing aid that can isolate the voice of the person you’re talking to while repressing the other sounds that can overwhelm and confuse a conversation in a noisy area. When your phone rings, the device connects wirelessly to deliver the callers voice directly to your ear. All this and more, with our range of hearing aids. Be sure to browse the different types of hearing aids we have below. Restoring the range and quality of hearing in this way can completely transform your life. For further information about our hearing aids, please don’t hesitate to get in touch with our team today or book your free online hearing test here. With brilliant sound quality combined with leading edge design and a host of features to personalise your listening experience, it’s no surprise that the Signia Styletto was awarded 5 stars by Canstar for most satisfied customers. 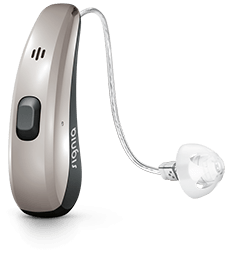 Blending discreet design with the latest technology, the Signia Pure 312 hearing aid delivers an enhanced hearing experience personalised to you. Many people with hearing loss are not comfortable with the way their hearing aids make their voice sound. However, the Signia Pure 312’s voice processing technology delivers the authentic sound of your voice while optimising other sounds around you. 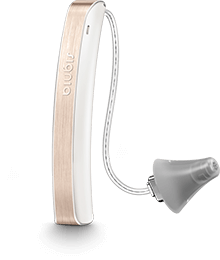 Advanced, reliable and intuitive, the Pure Charge&Go hearing aids from Signia delivers natural sound quality in any environment and offers an amazing range of features without the need to change a battery for the life of the device. no matter how much activity and work you like to pack into your day, Signia’s longer-lasting PureTM Charge&Go keeps going with you. True to its name, Pure Charge&Go can be fully charged while you sleep so that it’s always ready to go when you are.